I’ve recently been looking through the palettes I have and thinking about decluttering because I have more than I need and some of them are just sitting there. Since looking through them, however I’ve ended up finding that I love something in all of them really with maybe a couple of exceptions so I decided I’m going to review a lot of the palettes I have, even if they’re older, as long as they’re still sold and maybe it’ll help me make up my mind about them. This is one of those palettes that I bought, used a few times and then it’s sat there in the box of palettes without getting any use because others have come along. I really expected this to be one of the ones I was passing on to someone but I was very pleasantly surprised by it. 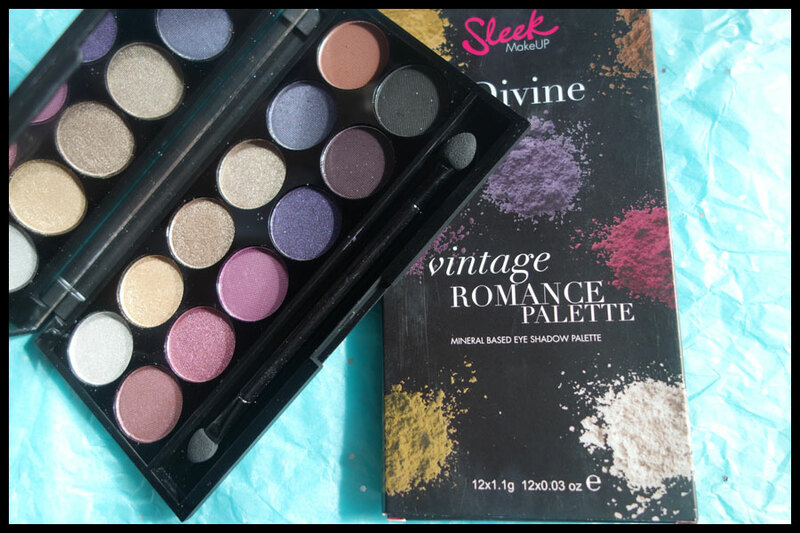 It’s one of the Sleek Makeup I-Divine palettes and this one is the Vintage Romance palette. It costs £7.99 in Boots, on the Sleek website and in Superdrug, so it’s an affordable palette with twelve colours so the price is pretty good for that amount and colour range of product. It has two obvious colour groups, one lot of metallic colours, mainly warm and neutral colours, and the bottom row is all purples with a black thrown in like they did with a lot of the older Sleek palettes. There’s a combination of all finishes, though there’s only the one matte, there’s four I would consider metallic, four shimmers and three which have obvious glitter particles in them. As a company Sleek are cruelty free though I don’t think they’re vegan, I can’t find a vegan friendly sign on the palette box though they do have some vegan products. I have taken a photo of the list of ingredients on the back, just click on the image and it’ll be big enough to read. 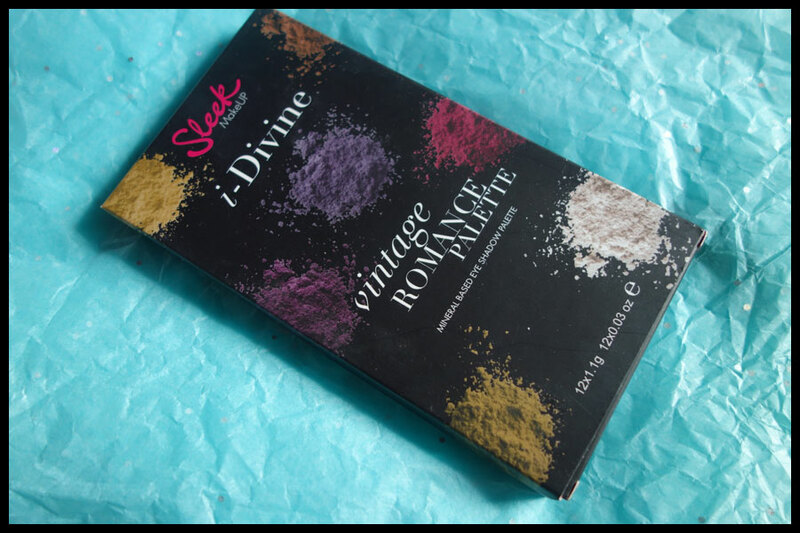 As well as the name Vintage Romance Palette the box also shows that it’s number 141 so if you’re having trouble with the Vintage Romance name in searching online then that might be another thing to try. The outer box itself goes with the current look of the rest of them, I think I preferred when they used to have different ones for the themes and they do that with the limited editions but it does mean they all tie in together if you keep them all like I do. There’s nothing on the back to show the colours but this does keep it clear. I’m not sure if the piles of loose eyeshadow on the front and back are meant to be the colours in the palette but they’re not very close if they are. I suppose it’s hard to show glitter and metallic shades in print and they do give an idea of the kinds of colours in there, just nothing exact. 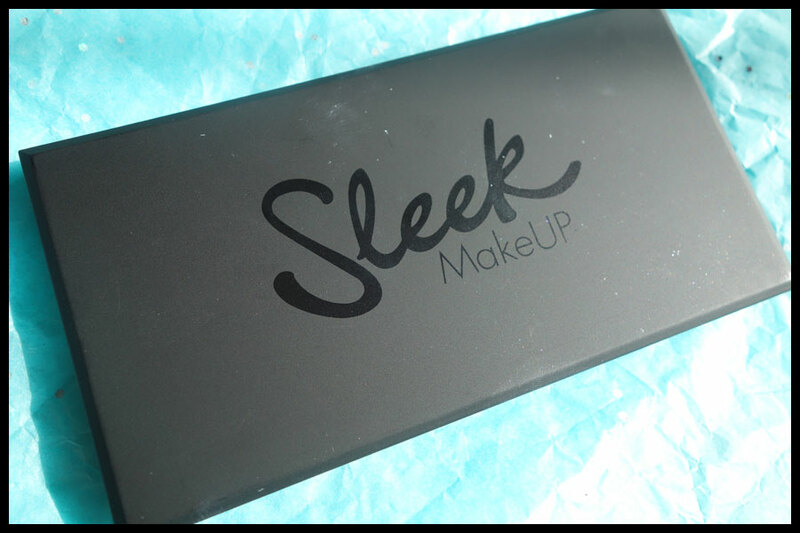 The palette is the standard black matte plastic palette with the Sleek logo in a shiny finish. It opens and closes well and I’ve never had a problem with one of theirs opening on its own when travelling so I’d trust it in my bag. The big mirror that covers the whole of the lid is also great when it comes for travelling as it stays at whatever angle you put it, keeping the palette open and meaning you can sit it on any surface and use it if there’s no mirror around. There is also the standard foam applicator which you get in all of these though I am yet to find a use for them, I’ve got a couple I’ve kept and as far as those things go these seem good, they pick up quite a bit and apply it ok if you want a fairly thick layer. 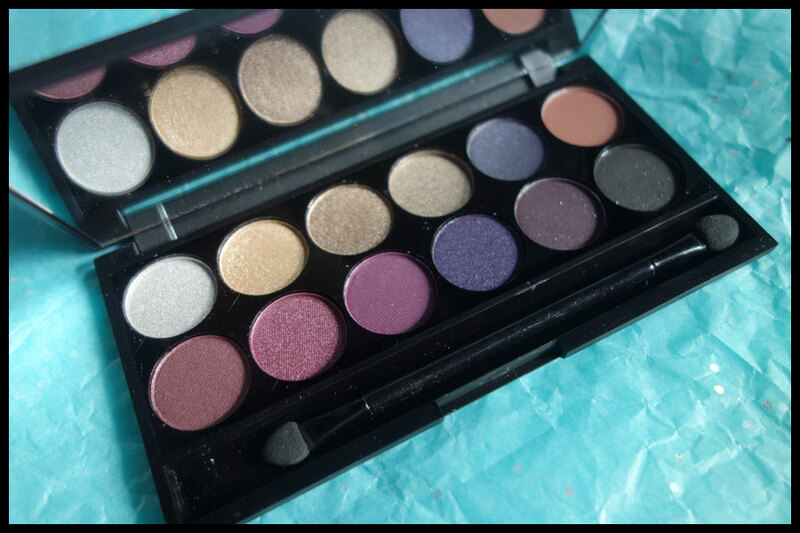 Inside are the twelve eyeshadows. As I said before this palette has them organised into two very different colour schemes, with the top row mainly being metallic and warm shades and the bottom being purples with the black. I’ve done the swatches in natural light with the top half having primer and the bottom without, though in this palette it’s rather hard to tell the difference with most of them. I like the names, I love anything with alliteration. They’re all based around cities that are thought of as romantic, though I’m not sure how some of the colours link with the cities I can see some links, maybe. Pretty in Paris – Metallic silver. 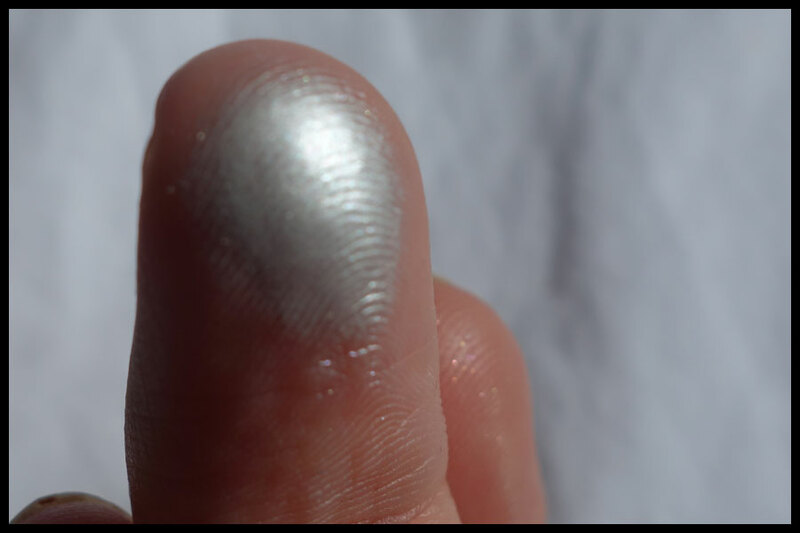 So thick and creamy, one layer is enough to be opaque but does build to give a more pure silver and smoother finish. Blends out well and evenly, lasts pretty well. Meet in Madrid – Warm gold metallic. Maybe this is a goldy bronze colour, it’s hard to decide what it is really as it’s not what I think of as a true gold. Another creamy shadow that blends well and lasts. It does take a couple of layers to have a true metallic finish but one does give the shine and is pretty opaque. Court in Cannes – Metallic bronze. 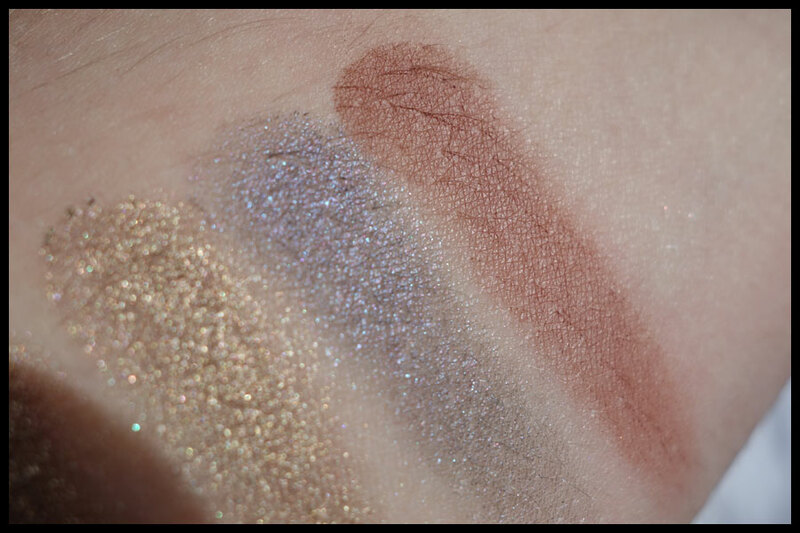 I think this is the creamiest of the shadows, it seems almost to work like a cream shadow more than a dry pressed one. Goes on smooth and one layer gives a nice opaque finish. Blends out well and works pretty well as an eyeliner too with the right brush as it’s so easy to apply. 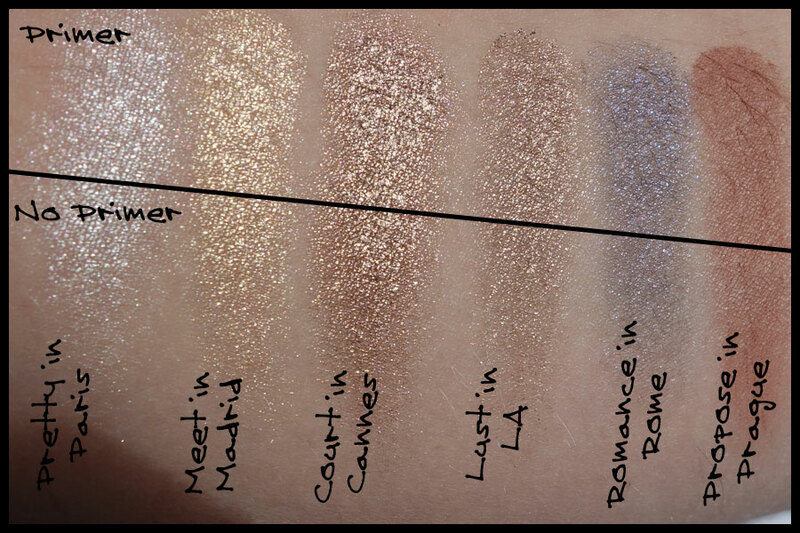 Lust in LA – Bronzey shimmer. A slightly cooler bronze than Court in Cannes and in person is more of a shimmer than a flat metallic. Really creamy though it seems powdery when you get it on the brush. Blends well but a bit of fallout and lasts even without primer. 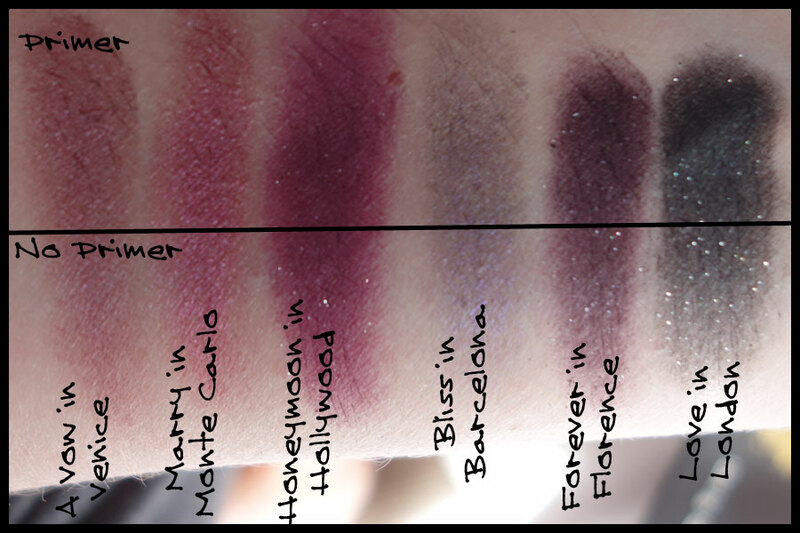 Romance in Rome – Matte purple/black with a purple duochrome or shimmer. This is one of the disappointments. It’s not got a very pigmented base though the duochrome aspect is a nice colour. On its own from straight ahead it just looks like a poor dark purple but from the side the shimmer really stands out. It might work well on top of a black to give it a different dimension but not one to use on its own. Applied fairly powdery and when I tried to blend it it seemed to disappear. Propose in Prague – Matte mid warm brown. I think this is the most impressive to me. One layer and it’s opaque which is unusual for a matte shade, especially at this price. Blends out well and is another that seems like it’s powdery but applies really smooth. A Vow in Venice – Plum shimmer with darker base. Really pigmented, rich looking colour that only needs one layer to be opaque. Blends well, applies smooth and lasts though it does need primer to show how pigmented it is, without it seemed to disappear on me. 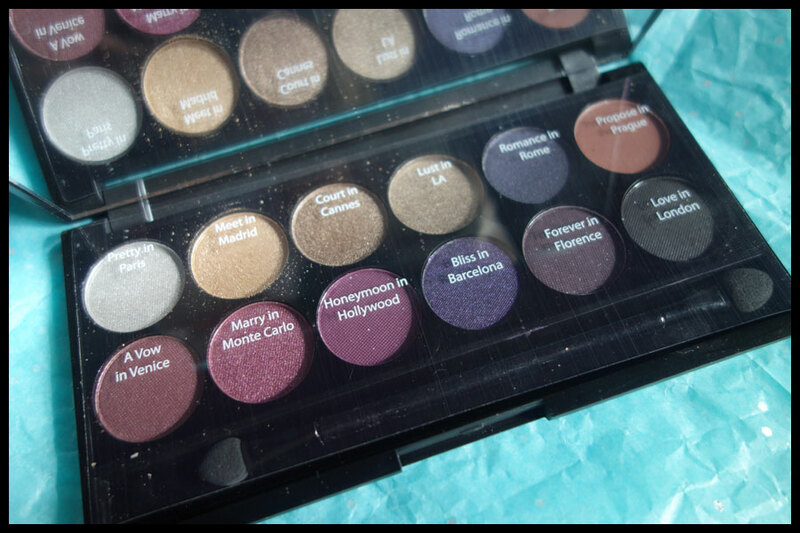 Marry in Monet Carlo – Metallic plum. Not that different from a Vow in Venice but different enough that it’s worth having both in the palette. This is a slightly pinker one and the creamier formula that was also in the first few on the top row. Blends well and applies opaque in one layer though does need a second coat for the smooth flat metallic finish. Honeymoon in Hollywood – Rich plummy purple with small silver glitter or shimmer. Seems powdery when on the brush but applies very pigmented and opaque with one layer. Can have quite a bit of fallout if you’re not careful as a lot gets on the brush unless you’re very light with it. Without primer blends to nothing pretty easily but with it works well. 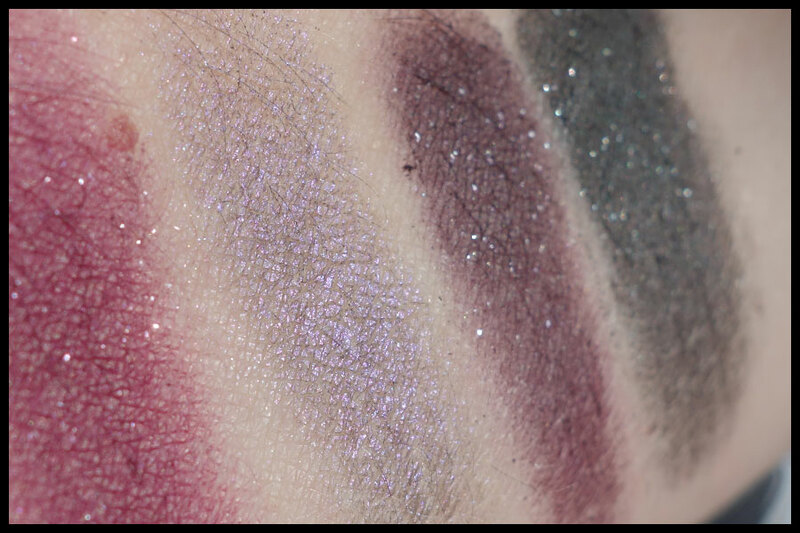 Bliss in Barcelona – Dark purple/black matte base with plum shimmer or duochrome. Another one very like Romance in Rome, not very pigmented on its own but might work well on top of a dark colour to bring out the duochrome aspect. Not pigmented and doesn’t blend very well but it does feel really creamy so it might build up more, maybe on a white base it might work but not a colour that I would think of as a reason to buy the palette. Forever in Florence – Matte dark plum base with silver glitter. One with the powdery formula though on a primer applies pigmented but without isn’t so much. Definitely needs the primer to use this as without it disappeared when blending as well. With primer blends well, only need one or two layers to be opaque and the glitter isn’t too much though it does fall if you try to move it too much once it’s in place. Love in London – Matte black base with silver glitter. Probably one of the most pigmented matte black based shadows I’ve ever used. Looks like it’ll be powdery and the glitter can fall a bit but just one layer gives a pretty opaque base even without primer. Lasted well and blends out well though the glitter does make it more difficult. Sometimes their matte blacks are a bit hit and miss though they had them in a lot of the early palettes, this is most definitely a hit. I think in this palette there are definitely a lot more hits than misses. The metallic shades may not be all that unique from the top row as a lot of companies do bronzes, golds and silvers but I found the formula of these better than a lot of the others I have tried, including the older Urban Decay formula (I am yet to try the new one though to comment on that). The matte brown is amazing for a matte colour, so pigmented, which was a very nice surprise as Sleek’s mattes can often be a bit weak but I guess that’s a problem with more expensive brands too, Too Faced mattes seem to have the same problem. The purples and the black, with a couple of exceptions, impressed me too and I think that a few of them are actually wearable for me which surprised me as I often find purples don’t really work how I want them to. Marry in Monte Carlo is one that especially stood out for me amongst them. 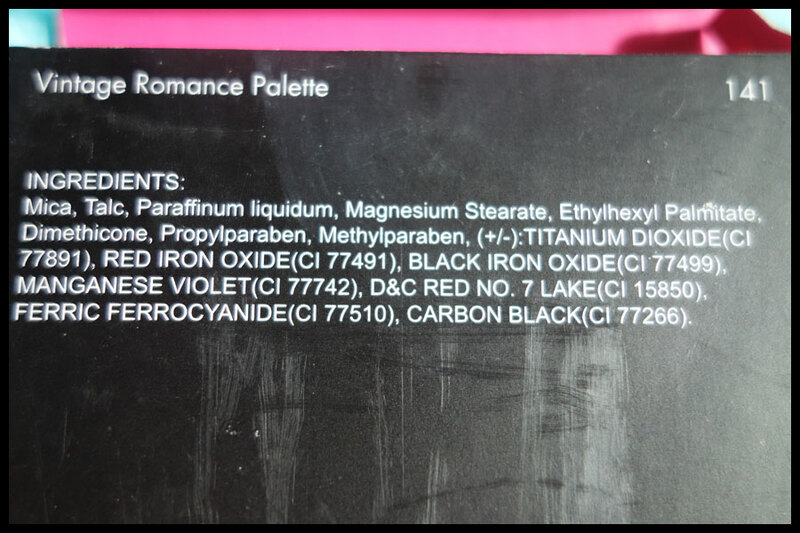 Overall I would definitely recommend this palette if you want some nice metallic or a range of plummy purple shades. I was definitely impressed and pleasantly surprised by this one and I can see the goldy bronzey colours and the matte brown becoming ones I use regularly. I will say that the purples probably won’t get a lot of use but I like them a lot and now I know what they’re like I’ll probably play around with them and get more used to them. I find with makeup a lot of the brighter colours it’s a bit of a fear of the unknown that stops me from using them so I’m going to make an effort and play with these less used palettes to try and create a few new looks. At £7.99 this palette, to me, is definitely worth it. Even if you’re not that into the purples the metallic and the black would be enough for me to get it, and probably are why I chose it in the first place as I think this was an in store purchase. If you can get this easily and you don’t already have dupes of the metallic shades I’d say it’s a good one to have in your collection, especially if you do like the gold look. It might be a good introduction to metallics as well, at the price it’s not over the top and you can experiment with the colours and then buy a different brand or bigger range if you like them. Even if this particular colour range isn’t your cup of tea I’d recommend having a look at the Sleek range of palettes in stores, most have them out as testers as well so you can see which colours you like. I have quite a few and there are normally at least half in each palette that are worth buying. I’ve done reviews of the Au Naturel and Garden of Eden ones already if they’re more the colours you’re interested in and I have a few of the others I’m planning on reviewing too so any questions on the other palettes or if you want me to review a certain one first then leave a comment and I’ll try to answer them. Woah! Such Gorgeous shades! I really need to try Sleek palettes! I love the gold and bronze colors, as well as the wines! Thank you so much for sharing this! Check out my blog if you would like http://everythingandnothin.com/! Have a BEAUTIFUL day! They’re great palettes especially for the price if you can get them. I’m not sure how easy they are to find outside the UK and postage might be quite high. Ya that is the issue haha! I will have to go on a hunt haha!